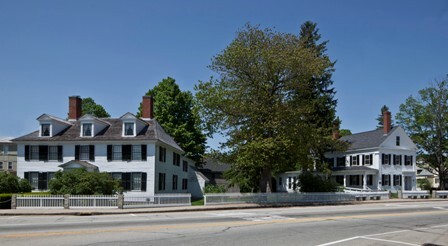 The Sarah Orne Jewett House Museum and Visitor Center in South Berwick, Maine, will undergo an energy assessment and audit thanks to a grant from the Maine Development Foundation and its “Grants to Green Maine” program. Historic New England secured a $2,000 grant to identify energy efficiency improvements at Jewett-Eastman House, which serves as a year-round visitor center adjacent to Sarah Orne Jewett House Museum in the center of South Berwick. The “Grants to Green Maine” program provides environmentally focused knowledge and funding to strengthen nonprofits located in historic buildings in downtowns in Maine. “Grants to Green Maine” is a partnership between the Maine Development Foundation’s Maine Downtown Center, Efficiency Maine, and the Maine Community Foundation and is funded by Kendeda Fund of The Community Foundation for Greater Atlanta. Historic New England believes that environmental sustainability and historic preservation go hand in hand. Learn more about energy efficiency projects at our historic sites.